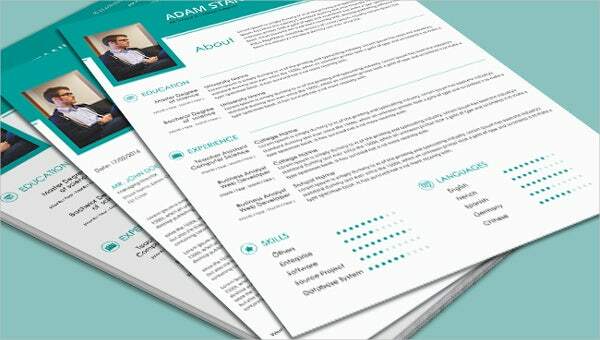 If you are looking to apply for a computer teacher at a school college, this Resume Template would be great for you. This is for those experienced professionals who have already acquired some teaching experience at academic institutions and looking for a new opening. The resume comes with a classy chorological approach which opens up with your photo, a brief profile about yourself and goes down to detail about your educational qualifications and professional experience- citing the different designations you have held at colleges or schools. Next you will list down your skills and languages known. You are also getting a cover letter template for your resume here.